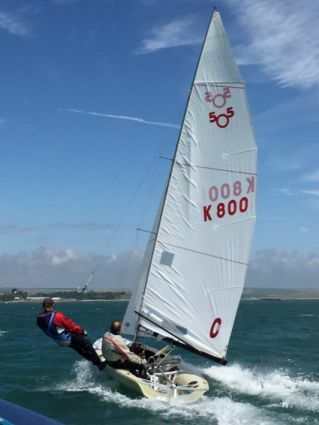 Earlier in the year it dawned on me that revisiting past glories was possible when the 505 dinghy world championships were planned for July in Weymouth, the first of its kind in the UK for a number of years. In reality, it was a new chapter in my life providing new experiences and challenges and not just reflecting on what had happened in the past. It was great to meet up with old friends who I hadn’t seen for 25 years and catch up on their stories and where they were now. All, without exception, had their own interesting tales to tell and share memories of past events. This highlighted the many attractions we all felt to sailing the 505. 25 years on, I felt fit enough to take part in the “Worlds”, even though realistically I wasn’t competitive as far the as the equipment was concerned; I hadn’t had time to practice or get an old boat on the water well in advance. 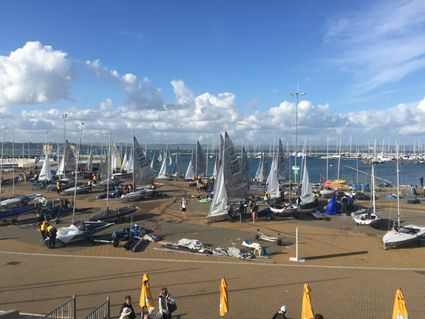 In fact, we only had one day sailing before the event! The perennial problem with finding a new crew presented one challenge but nothing was going to stop me bringing some radical ideas to resurrect an old hull and enjoy the challenge of taking an idea of how I could improve on the existing sailing technologies and challenge some of the conventional thinking. Subliminally, all of this would only be possible if you were fit and healthy. Do you have your own story to share?